Little is known of Thomas Easter except that he was born in Aylsham in Norfolk in 1715 and was hanged at Tyburn 24 years later. However, his life was packed with adventure and intrigue. From North Norfolk to Putney Heath, Easter plied his trade as a Gentleman of the Road, ‘raising contributions upon the public’ and, from the little that is known, he was a dashing and charming rogue. “I rob the rich to give to the poor.” Ultimately betrayed by an accomplice and comrade, he danced the hangman’s jig. Stuff of Dreams will take you on a rollicking Georgian adventure as we delve into the life and times of the Highwaymen of the 18th Century. There will be lively story-telling, toe-tapping folk music and where facts are scarce there will be glorious embellishment! The time listed is the door time and the performance will begin at 7.30pm. Tickets are £12 (* £10 students with ID, under 18s). 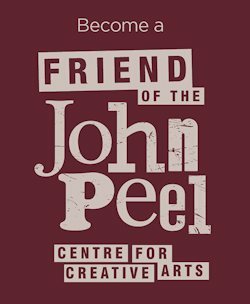 Available online from our ticket partner, WeGotTickets (booking fee applies), or from the John Peel Centre Box Office on 01449 774678 (open 10am to 2pm weekdays).